“Brands ultimately want an audience,” Webley says. Mobile game developers can provide that audience brands covet. Mobile games, however, aren’t that great at capturing the user data brands demand in order to run advertising campaigns. Webley says that there’s opportunity for mobile game developers to figure out fun and innovate ways to gather valuable user data. Data is the preferred weapon of choice for many developers, but Nick Berry, data scientist at Facebook, says to be careful of averages. “If you chase one figure, then you kind of got it wrong,” he says. Berry highlighted one particular example of misinterpreting the average IAP spend per user. 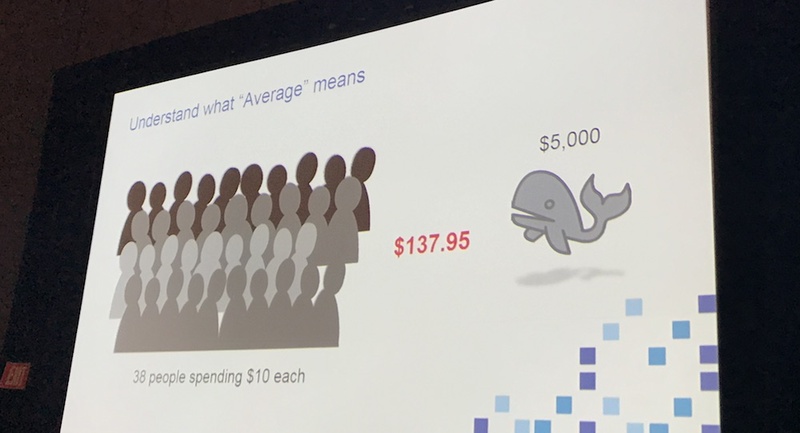 For example, if you take the average spend from 38 users who each spent $10 and one high paying user who dropped $5,000, you get an average IAP spend per user of $137.95. After measuring all transactions from games on Facebook’s web platform from 2010 to 2016, Berry found that 27.4 percent of revenue for the top 100 all-time grossing games came from users who’ve spent more than $5,000 in lifetime revenue. Who would’ve thought that people would watch games as much as they play them. People aren’t just watching games on platforms such as Twitch, they’re making buying decisions. “It shouldn’t be a surprise to you that Twitch sells games,” says Ross Gardner, software development manager at Twitch. 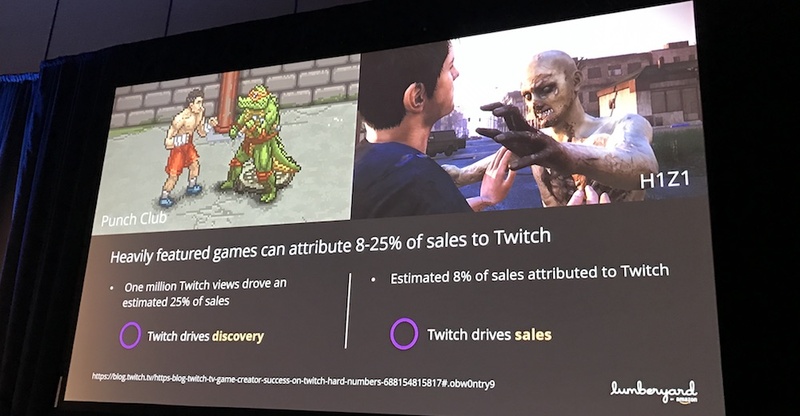 To prove his point, Gardener revealed the results from a recent study that found that 8 to 25 percent of sales for Lazy Bear Games’s Punch Club and Daybreak’s H1Z1 were directly attributed to people watching on Twitch. The power of influence has shifted to broadcasters, a particular subset of influencers who live stream games. “Broadcasters are the best influencers,” Gardener says, “They are the TV personalities of our age.” Mobile game developers can take advantage of broadcasters and their loyal communities by forming partnerships with these influencers. For day three coverage of mobile game insights from GDC 2017, keep it locked to the Fyber Pulse blog.